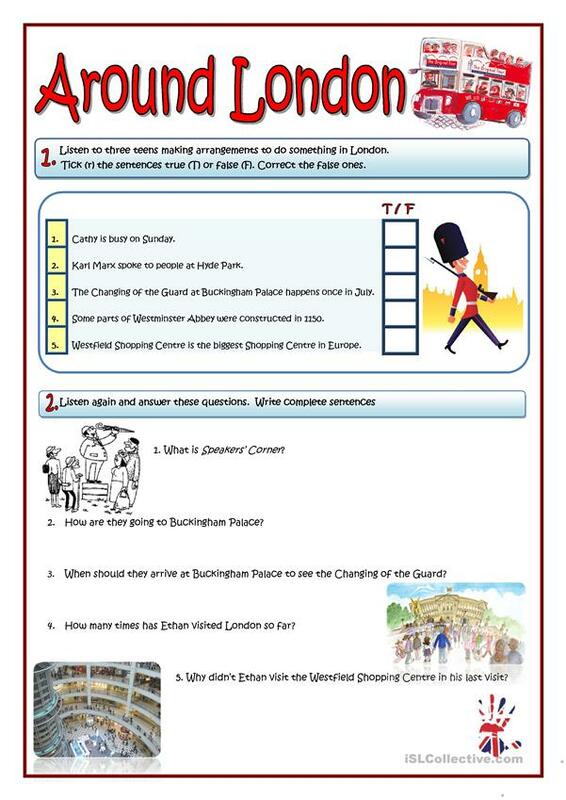 Here you are an A2 Listening comprehension exercise. Script, key and audio file link provided on the second page. This downloadable teaching material is recommended for adults at Pre-intermediate (A2) level. It was designed for developing your learners' Listening skills. 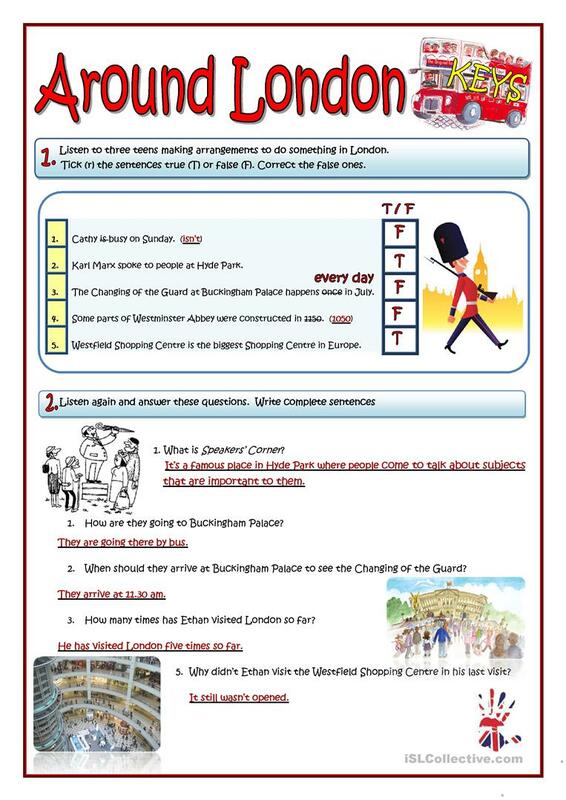 It is about the vocabulary topic of London. There is a key provided with the exercises.